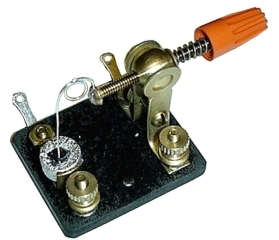 Build, Genuine Crystal Radio, like Grandpa! Comes with a mounted and tested galena "rock", All brass hardware ,with black ABS base. Silver plated "cats whisker". Solder lugs for circuit connection. Thumb-nuts for added diode/termination. Very positive action with "spring-loaded, screw-feed". Action allows for "very light touch". Handsome insulated handle. Two holes for #6 hardware. Fully assembled, tested and ready to go. Standard 1/2 inch diameter mounted mineral-detector. 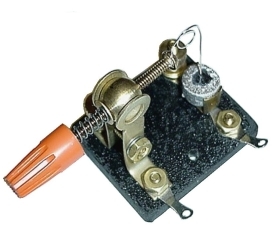 Here it is, the Holy Grail of crystal radio diodes. These are NOS ITT diodes from the 1960's. The gold bond junction is especially good for high performance crystal sets with high Q coils.